Engine: 484 Rick Cassel Chrysler Hemi, Stage V Cylinder Heads, Eagle Crank & Rods, Indy tunnel ram, Holley 150 Dominators, Cam Motion Cam. Chassis: Rod & Competition updated chassis; Competition Research Ladder bars; Lamb struts and brakes; Dana rear with 4.56 Richmond gears; Mickey Thompson Tires. 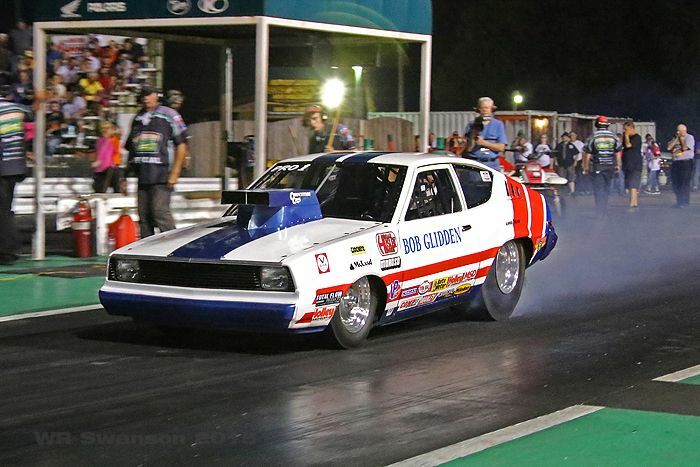 Owner Bio: Rick Cassel started drag racing in 1978 at his local track, Great lakes Dragway and started racing professionally in 1989 in Nitro Funny Car and Top Fuel dragsters. Cassell has won over 30 national events and a championship in his 20 years as a professional.